A crowning achievement | ENTOURAGE BASKETBALL INC.
“Save the best for last”, one of those eternal synonyms that gets regularly thrown around in everyday life, whether befitting the situation or not. In the case of EntourageBBall Inc and the second game of the Crossover League finals, the saying was pretty spot on. After 3 playoff games marred by offensive struggles, while maintaining the strongest defense in the league, the players were due for an explosion and boy did they deliver. A win in the second game of the best-of-3 series would hand E.B.I. the championship, more motivation was not needed as the team got off to a great start. Wary that Hougang CCMC would be motivated to bounce back from their 2nd loss of the season, the Entourage players competed with a purpose. Hougang chose to switch defensive tactics, playing a tight zone compared to the man-defense from the first Finals’ game. Their opponents were not impressed, immediately relying on crisp passing, cuts and timely scoring to jump ahead in the early going. The ball was shared, there were no lapses on defensive assignments and rotations, and the EntourageBBall players controlled the boards; total Basketball dominance. By the 3rd quarter, it seemed that the Hougang roster had their collective will drained by the constant onslaught on both ends of the court. Jerel and Mike showcased their uncanny oncourt connection multiple times, at one point Rel found Mike 3 straight times on the break for nice finishes in the open court. Other notable fastbreak finishers were big men Jean Baptiste, Tolga and Alex who ran the floor hard and received well-timed passes from their backcourt mates. By the final buzzer, every single player on the roster had contributed to the impressive 74-36 victory against a team that finished the regular season 9-1 and was expected to be a big challenger for the championship. 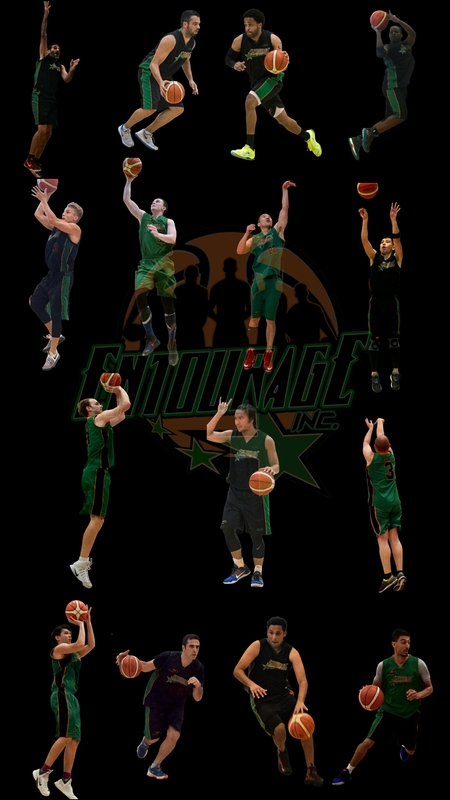 The total team effort contributed to EntourageBBall dominating in the first season in the Crossover league, the game two victory was their 14th straight win, a rare unbeaten season crowned by a well-deserved title. May to early December 2016, that is how long the champions have been working together towards multiple goals: playing structured yet adaptable Basketball, good chemistry and camaraderie, commitment to improving, sportsmanship, the title was only added to the list late in the season. It has been a memorable journey. As team manager/mother hen of this squad, i am very proud to have shared this experience with these 15 men of various backgrounds who have shown me that team spirit is still alive and well in these cynical times we live in. Seven months after our first practice session together, we are league Champions. How about that? Previous PostGallery: Championship clincherNext PostHappy holidays!